The new Rolex Cosmograph Daytona has everything that makes a Rolex expensive – a platinum case with a matching platinum bracelet, a baguette diamond bezel and diamond pave dial. 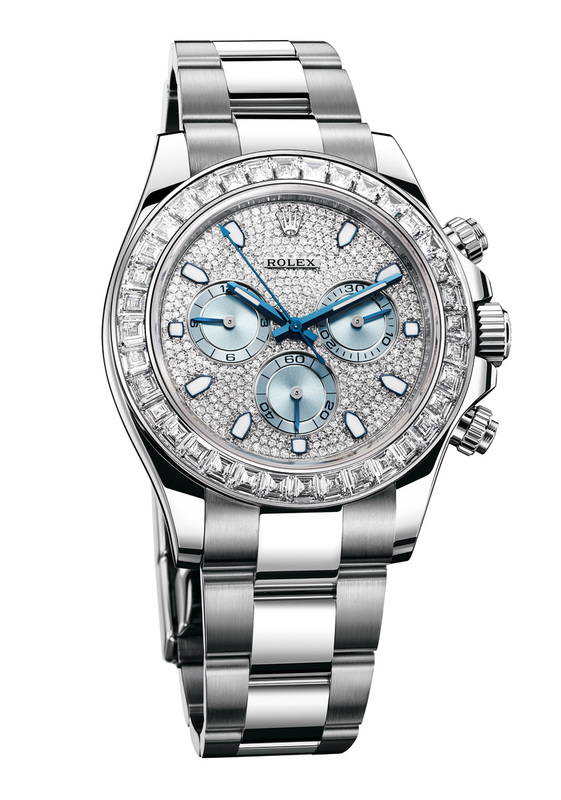 Last year Rolex unveiled the first ever Daytona in platinum, complete with a beautifully crafted platinum bracelet. 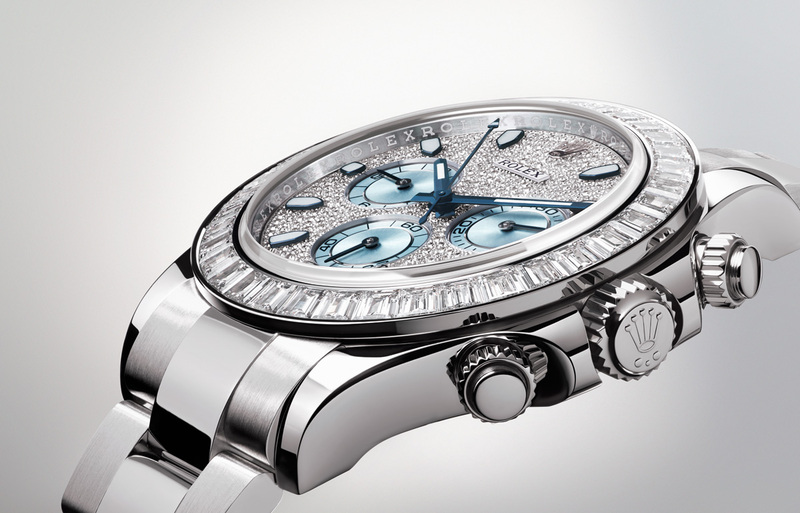 This year at Baselworld 2014 Rolex presents the same, but with diamonds set on the bezel and dial. 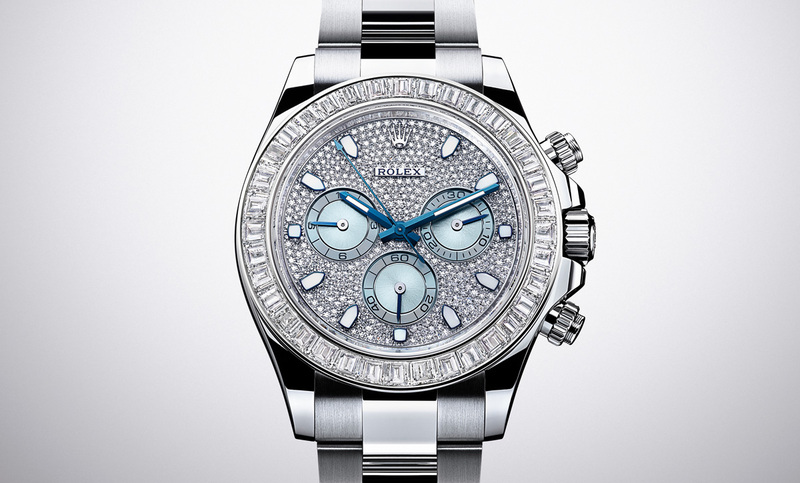 For those who thought last year’s Daytona was not enough, the new Daytona with diamonds (ref. 116576 TBR) should do the trick. Equipped with the cal. 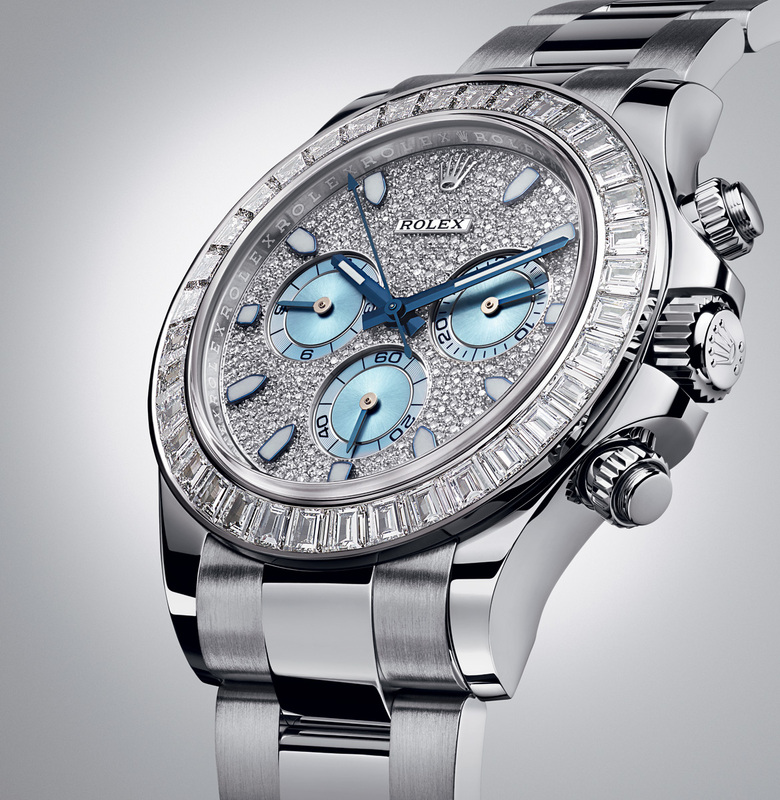 4130 movement, the new Daytona has a 40 mm platinum case with a platinum Oyster bracelet – essentially the specs are identical to last year’s platinum Daytona. 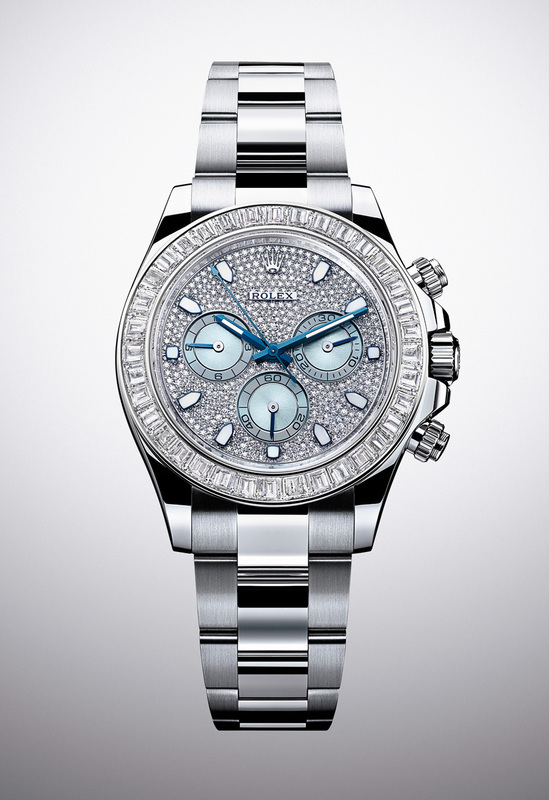 However, the bezel is set with 36 baguette cut diamonds, and the dial is paved with 437 round diamonds. The hands are blued white gold, while the chronograph registers are finished in the distinctive ice blue colour found only on platinum Rolex watches. The Daytona ref. 116576 TBR will retail for 148,000 Swiss francs, or about US$167,000. That’s more than double the price of the regular platinum Daytona.